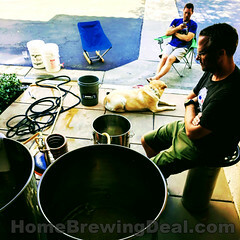 Coupon Item Description: Adventures in Homebrewing currently has a sale going on where you can pick up a Home Brewing Wort Chiller for $39. 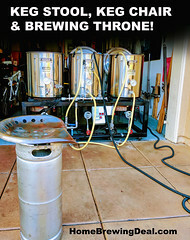 This is the best price that I have seen for a 25′ copper homebrewing wort chiller. So if you are looking to enhance your home brewing setup with a chiller, this is a great deal! Coupon Description: MoreBeer.com currently has a coupon code for a Weldless Ball Valve Kit for $27. Do you have a kettle or cooler but would like the ease and convenience of using a ball valve to easily drain liquid? 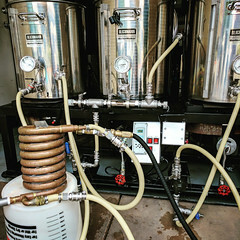 Well, at a fraction of the cost of having a spigot welded into your kettle you can drill a whole and install a weldless ball valve with this homebrewing ball valve kit. The problem with most weldless fittings is they are thrown together from assorted hardware. Common issues include leaking and lots of flex when you use the ball valve. These new weldless fittings feature are designed for brewing. There is no comparison to the weldless fittings of yesterday with their rock-solid feel and a solid leak free connection. This home brewing ball valve kit features 1/2″ female threads on the inside and allows you to thread in various other fittings that you can see below. Want to later make a mashtun… no problem just thread in our stainless screen. 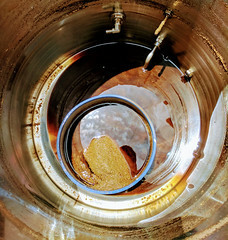 want to fully drain your boil kettle? No problem, just add our kettle maximizer! Coupon Description: MoreBeer.com currently has a coupon code for a $9 Latch Top Beer Growler. These are fantastic 2 Liter amber colored flip top Palla style beer growlers. They are stronger than traditional glass jug style growlers and feature a wide pot bellied shape. Best of all, they have a flip top lid, so not more lost growler caps! They are built from thick glass amber glass to help keep light out and protect your precious homebrew. The latch top growler lid provides a very solid seal and is very handy. Coupon Description: MoreBeer.com currently has a sale going on where you can save 10% on select hops!